As South Africa and the African continent came together to celebrate Africa Day on the 25th May 2016, New Jerusalem Children’s Home also joined the African celebration rhythm and officially opened a training and development for children and youth named Afra Training and Development centre for children of the organisation and for communities at large. On the 25th May 2016 New Jerusalem Children’s Home welcomed nearby communities and corporate communities to into its premises to celebrate Africa Day and to officially open the children and youth training and development centre, which aim in bettering children and youth’s life skills and making them marketable when they leave the home. New Jerusalem Children’s Home celebrated the Africa Day under the theme “our strength is in our oneness” as people of Africa and of the world. 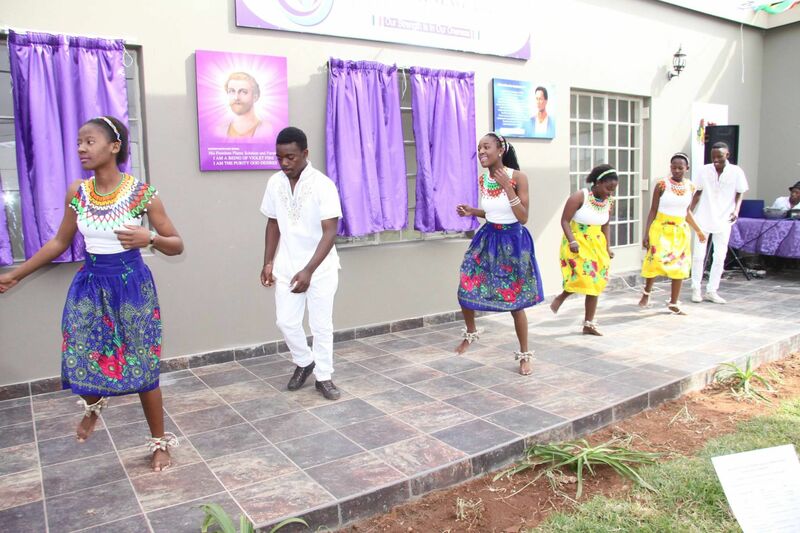 New Jerusalem Children’s Home saw an opportunity to officially open a training and development centre which its construction work started on the 4th November 2016, a readiness centre for children and youth of the home, which is open to youth and children of the communities at large. Afra Training and Development Centre, a centre which will be focusing on offering Child and Youth Care Training, Montessori teacher training, Arts and culture development. The centre will be a home for children developmental program and formal accredited training for community members with a central aim of closing the child and youth care workers, Montessori teachers, Arts and Culture gap in communities. Seeing so many people dressed in their different African attires; smiling, laughing with each other and taking pictures together paints a picture of the Africa we all want, Africa which say’s “I AM my Brother Keeper and our strength is in our oneness” said Mme Anna Mojapelo CEO of New Jerusalem Children’s Home – adding by saying “we all are children of the mother earth, we can no longer see ourselves as many, we need to see ourselves as one for the better future of our continent and for our children, we all need to join our hands and not only say “it takes village to raise a child” we need to be villagers in a village that betters children be it in formal education and or life skills improvement. She added. “We at Omega Digital love New Jerusalem Children’s Home; they are close to our hearts” said Jonathan Hayes of Omega Digital, adding by saying “nothing is more great and humbling than seeing a children’s home looking beyond its call of duty, years ago New Jerusalem Children’s Home came to us as an organisation which focused on sheltering children, today they are an organisations which see an opportunity in many social issues and address pressing matters in communities without complaining. They dedicate themselves to close gaps and try to resolve social issues at hand through education and developing life skills for the orphaned, abandoned, abused, traumatized, vulnerable and HIV positive children and youth so they can be marketable and be future economic role players. Initiatives of this kind makes it easy for us to continue helping were possible as we believe a child’s life is being developed through our involvement. New Jerusalem Children’s Home has always wish to develop Montessori education within disadvantaged communities, shortage or no Montessori teachers has always been a hindering factor to transform community based pre-schools into Montessori Pre-schools. Afra Training and Development Centre will be offering Montessori training to foundation phase and early child development teachers, skilling more people to run community based pre-school as fully equipped Montessori pre-school, giving children a chance to have quality foundation phase education, which they can build their educational life from. The opening of Afra Training and Development Centre will not only train and develop Montessori training, Child and Youth Care programs, Arts and Culture – it will also offer entrepreneurial skills, skills on how to run their child development centres and to address social issues within communities while earning a living.